Lee Kofman is a Russian born, Israeli-Australian novelist, short story writer, essayist, memoirist and former academic. Her work has been widely published in Australia, USA, Canada, Israel, UK and Scotland. Lee holds a PhD in Social Sciences and an MA in Creative Writing, and is a mentor and teacher of writing. 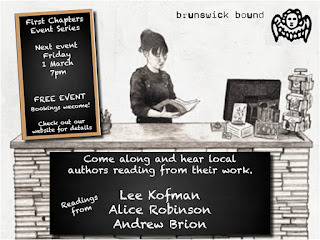 Lee will be reading from her new book Imperfect at First Chapters on Friday 1 March. I’ve chosen to read the opening scene of the book, where a new lover discovers my scars. This passage encapsulates some of the lifelong shame and anxiety I’ve felt about my body and how these have impacted my life and my sense of self.